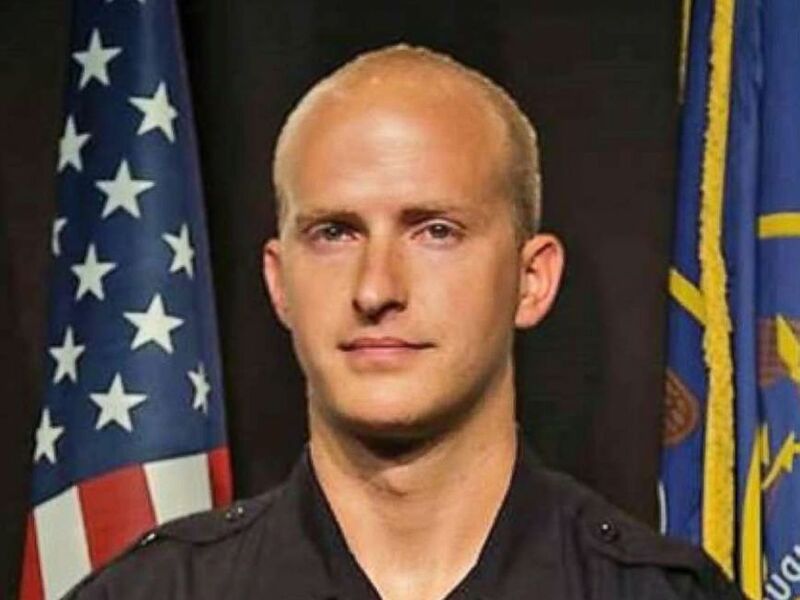 Police departments across the country are offering an outpouring of support after a young Provo, Utah, police officer was gunned down in the line of duty. Officer Joseph Shinners, 29, was shot in the nearby town of Orem trying to apprehend a fugitive Saturday night, authorities said. Shinners, who was on the job for three years, is survived by his wife and 1-year-old son, Provo Police Chief Richard Ferguson said. An undated photo of Provo police officer Joesph Shinners who died in the line of duty Jan. 5, 2019. 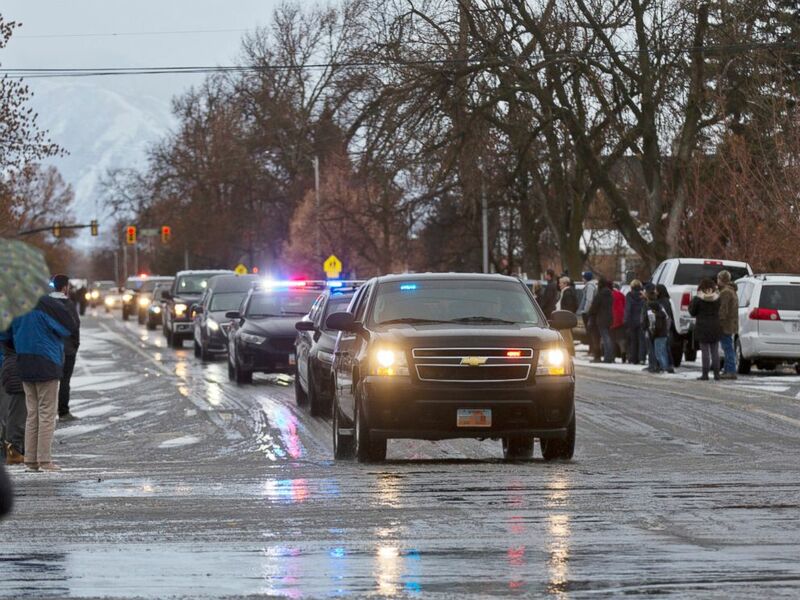 A procession of law enforcement vehicles escorting the hearse carrying Provo Police Officer Joseph Shinners makes its way to Wheeler Mortuary in Springville, Utah, Jan. 6, 2019. Shinners, who was from the Boston area, came from a family of service. His brother is a police officer and his father was a fire captain in Everett, Massachusetts. Among those offering condolences was Shinners’ father’s former department. Law enforcement from Florida to New York to Ohio to Tennessee were also among those offering their support. Our condolences go out to the family, friends and fellow officers of Massachusetts native and @ProvoPolice, UT Police Officer Joseph Shinners, who was shot and killed Saturday night while making an arrest. Shinners managed to shoot the suspected killer, who was injured and is under guard at a hospital, authorities said. The suspect, whose name has not been released, allegedly made recent threats of violence toward police, authorities said. The suspect was in stable condition and is set to face multiple charges, authorities said Sunday.